We had a lovely afternoon. Unfortunately, my little ones were away living life large, but we did the best we could. 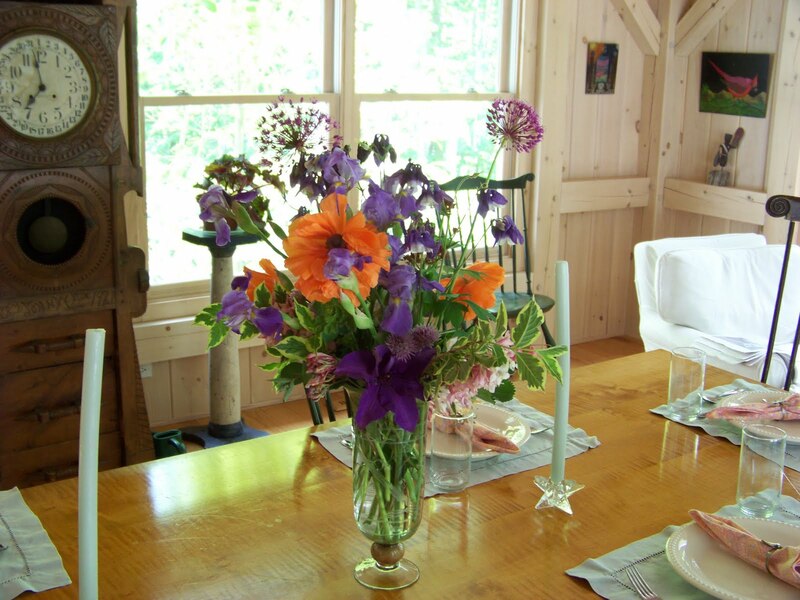 There were pretty flowers from my garden, steaks, mashed new potatoes, asparagus, beans and broccoli with shallots and a salad made with lettuce also from the garden. 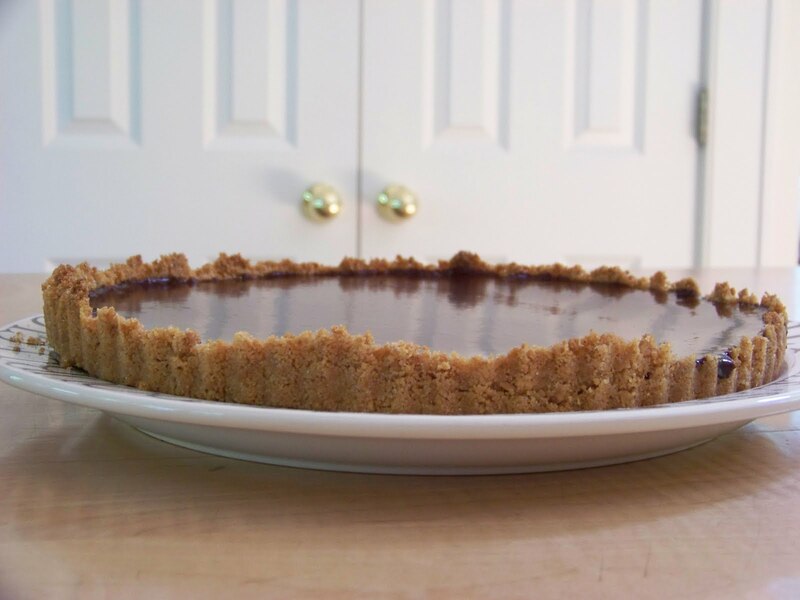 The grande finale was this yummy glazed chocolate tart with graham cracker crust. I also made homemade strawberry ice cream which was a wonderful side dish to the very chocolatey tart. No pictures of the ice cream as it disappeared before documentation. We missed you too! The dinner sounds delicious and the tart looks amazing!